Norma Unprimed Cases .17 Rem. Shell Cases. Norma Unprimed Cases .22-250 Remington Shell Cases. Norma Unprimed Cases .220 Swift Shell Cases. Norma Unprimed Cases .222 Remington Shell Cases. Norma Unprimed Cases 204 Ruger Shell Cases. Norma Unprimed Cases 221 Fireball Shell Cases. Norma Unprimed Cases 223 Remington Shell Cases. Norma Unprimed Cases 25-06 Remington. Norma Unprimed Cases 270 Win. Norma Unprimed Cases 30-06 Shell Cases. Norma Unprimed Cases 300 WSM Shell Cases. Norma Unprimed Cases 338 Lapua Mag. Norma Unprimed Cases 338WIN Mag. Norma Unprimed Cases 6.5 Creedmoor Shell Cases. Norma Unprimed Cases 6mm BR Shell Cases. 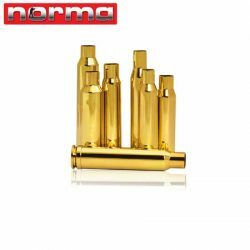 Norma Unprimed Cases 7mm REM MAG Shell Cases. Norma Unprimed Cases 7mm-08 Rem Shell Cases.